National Geographic Journeys with G Adventures are a collection of unique tours designed to take you deeper into the cultures and habitats of the places we explore. want. The world opens up a little more for a small group than it does for a solo traveller or a big-bus tour. that make it worth exploring. This is your planet. Come and get it. Why Platinum Travel and G Adventures ? Local - 91% of all G Adventures on-tour Hotels, Restaurants and tour providors are owned by legal residents. Animal Welfare - Every tour is audited to ensure the humane treatment of wildlife. if partners put animals at risk they cease to become partners. Imagine - These aren't just trips they are oppoutunities to see the World. Unique Accommodations - Spend the night in a Jordanian tent, how about a converted fort in India. Accommodations reflect character of where we visit. the most out of your travels. photographers, Buddhist monks, chefs, and others. 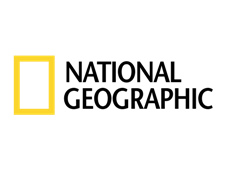 Geographic Society’s non-profit work in conservation, exploration, research, and education. restaurants, hearty sit-downs with local families, and culinary adventures of all sorts. We have listed some of our favourites below for you to learn a bit more.